To the most loyal customers OFFICEDAY offers Client Card that could be used for various discounts during each visit to our stores. This card is for both small business and private customers to shop at OFFICEDAY stores. The Client Card will provide a constant discount for various product groups and exclusive offers each month. Discounts can’t be combined. OFFICEDAY reserves the right to change discounts without prior notice. 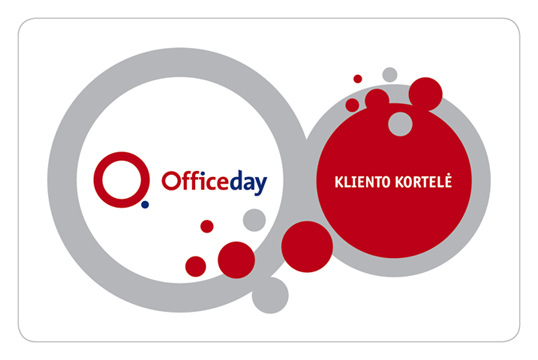 We will grant you with a Client Card if you buy in OFFICEDAY shop for 28,96 EUR and more. All you have to do is fill out a form. If your purchase does not exceed 28,96 EUR, you can collect checks to this amount, submit them and get a Client Card afterwards. 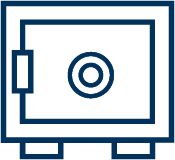 You can also buy Client Card for usual price – 1,45 EUR. The old OFFICEDAY Client Card is changed on the client's request to the new Client Card by adapting the new card's discounts. We care about every customer!